"He Was Knowledgable And Sorted The Problem Quickly And Efficiently"
"Got The Job Done Well And Explained What They Were Doing"
"Explained What They Were Doing. Friendly"
"Quick To Respond & Quote Acceptable Price. 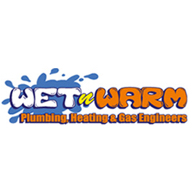 Acceptance & Action With A Few Hours - Brilliant Polite & Efficient Service"
Need a Plumber, Handyperson, Painter & Decorator, Tiler or Plasterer in Sheffield?